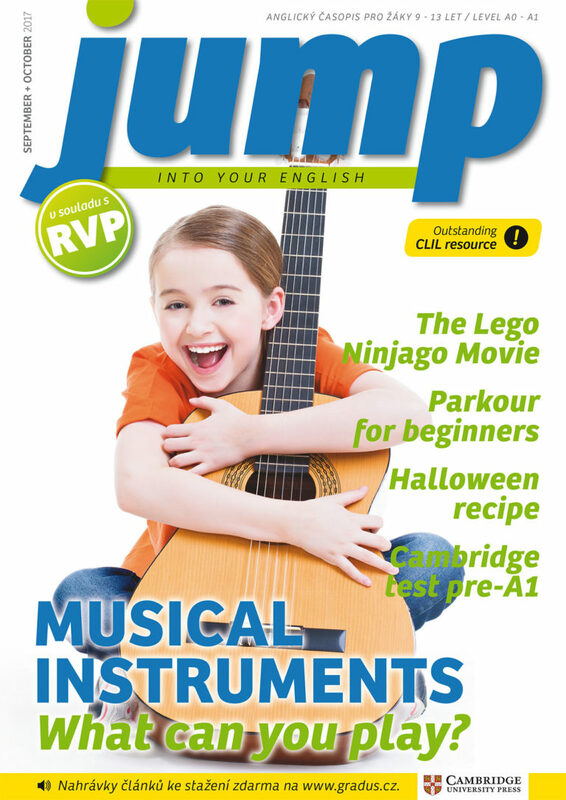 Jump is a fun English language magazine for younger primary school pupils, and they’ll love it! In an enjoyable way it offers answers to the questions children often ask. It contains short structured texts and focuses on encouraging pupils to enter into conversation in English. In addition to reading Jump, pupils can listen to it as well. Most of the magazine is available recorded as an audio file. With Jump, your children will soon be able to speak English! The magazine is created by experienced teachers and native speakers. Jump helps pupils strengthen and expand their vocabulary and sentence structures. Jump makes teachers’ lesson preparations considerably easier. With Jump you can meet the requirements of the curriculum with ease, while deepening cross-curricular relations. In addition, children will look forward to every English lesson. Conversational topics are outstanding extra materials, mostly used for lessons and speaking exams. Free downloads of texts (doc.) and audio tracks (MP3) for subsribers. GRADUS CZ, s.r.o. company has focussed on language teaching, the production of educational aids and teaching publications since 2001. We launched Drive, our magazine in simplified English, on the market in September 2012. Drive is in the form of a lifestyle magazine, which in addition is a methodical teaching aid, carefully prepared to the smallest detail. We create a piece of work which offers quality content, methods and graphics, recognized by experts in the Czech Republic and abroad at trade fairs such as BETT and the London Book Fair. September 2016 sees the publication of Jump, our new magazine for 9 – 13-year-old pupils. The main partner of our magazine is Cambridge University Press (CUP). Thanks to this partnership, our students enjoy unique access to extensive materials from CUP. Jump and Drive offer the only official, authentic CUP-published language tests as supplements. We are currently seeking a new business partner to introduce these modern, fresh and effective ESL magazines to a new market. To find out how to partner with us please contact us. Are you looking for professionals who deliver on time?